Welcome to the Infinite Options app! 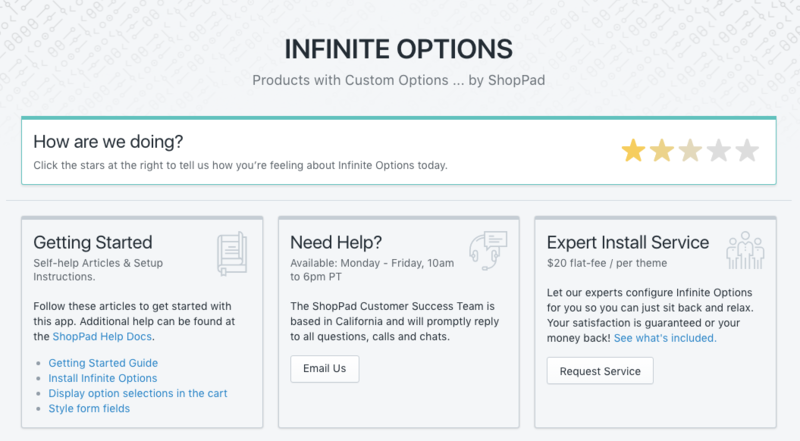 Infinite Options allows you to create as many custom option fields for your product pages as you need. 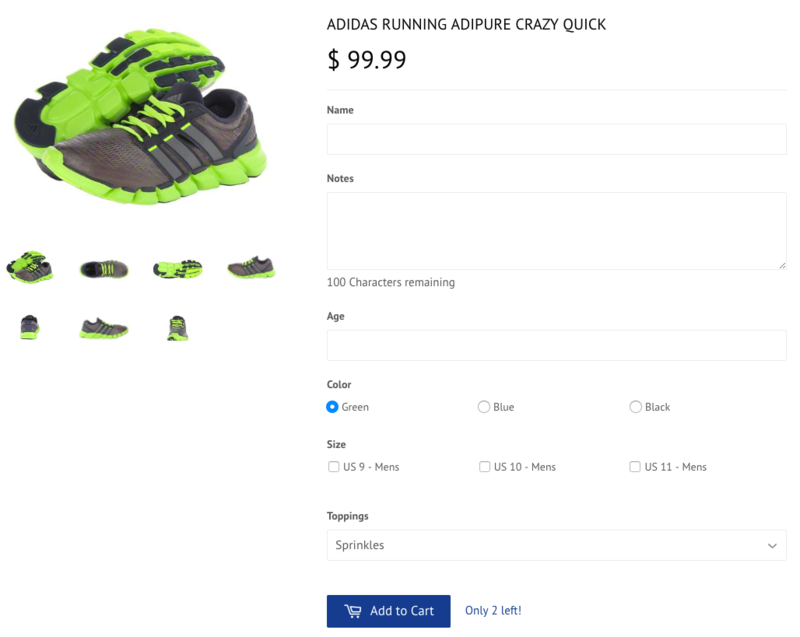 You can specify exactly which product pages on your Shopify store that these custom options will appear on as well. From the Infinite Options App Dashboard, you'll be able to start creating option fields and applying them to your products. Here's a helpful document that will walk you through how to create option fields: Click here! Here's a helpful document that will show you how to apply your option fields to your product pages: Click here! Expert Install Service: Don't want to mess with digging into your theme's code files to install your app? For a one-time fee of $20 USD, our team can fully install your Infinite Options app so that it's ready for you to start creating your option fields, all within a quick one business day turnaround. Get started with the Expert Install Service here. Online Help Docs: The help documents listed on the left of the screenshot will guide you on installing the app within your theme's code files. If you have any questions about either process, you can always contact our Customer Success team from the middle box.